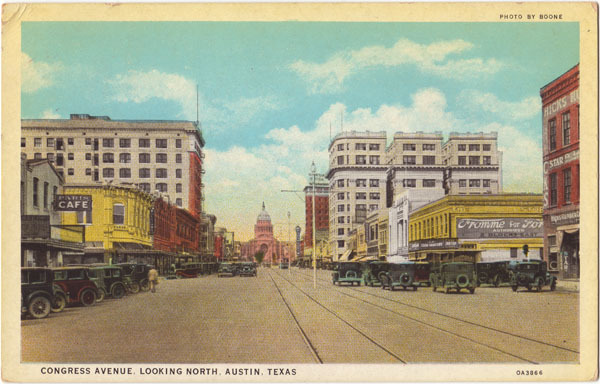 AustinPostcard - Congress Avenue, looking North, Austin, Texas. Postcards > Congress Avenue > Congress Avenue, looking North, Austin, Texas. Congress Avenue, looking North, Austin, Texas.